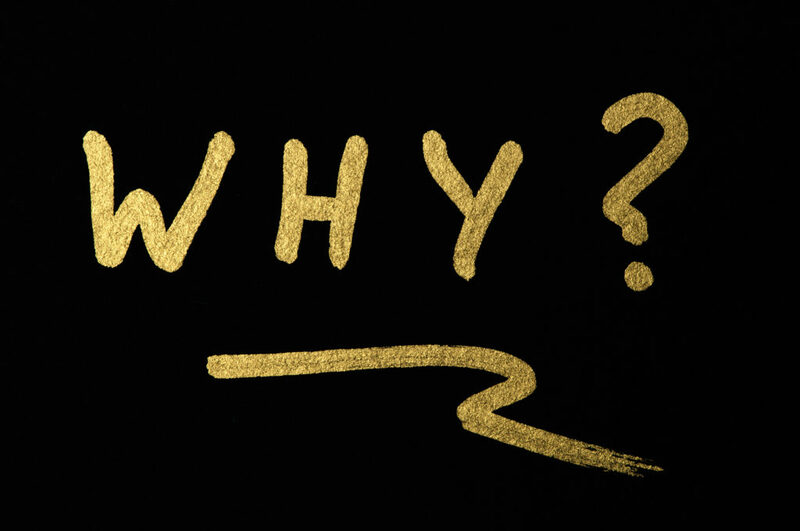 Of course you know that this is the question made famous by Simon Sinek in his Ted Talk and book, Start With Why. I’m not going to do a review of Sinek’s book, but rather tell a story. The story has two parts and then an ending, and of course, a moral to the story. The first part starts with ten print company owners in a conference room. They are asked to share what they do and why a client should buy from them. In a sense, describe the value that they bring to a client. One by one they recite the major components of their equipment list and talk about their quality, great service, and tenure of their people. After about the fourth or fifth one, they all basically sound the same. They tend to define themselves by the type of equipment they have. I did it that way for years. For example, “I’m a 40” shop with x, y, and z,” or “I’m a half size shop with a, b, and c.” As we went on, some had a hard time really making their case. In all fairness, they were not asked in to prepare this in advance and it was an off-the-cuff request to have them go through this exercise. The second part of the story has to do with a new sales person representing a print and graphics company. As they are new, they’re eager to make something happen and hence go out knocking on doors, networking, and trying to meet people that want to buy what they sell. Their challenge is that they really don’t have a great story to tell about the company and revert to focusing on their capabilities, great people, service, and you know the rest of the story. They end up sounding like the last 5 sales reps that had been in to see the buyer and left the meeting with either a, “we’ll keep you in mind,” or an opportunity to quote on a project that they have no-chance of getting. This story is repeated way too often in our industry. I’m confident that your business meets the needs of your clients by solving problems and doing cartwheels every day! The challenge is to define what you do, and why, in such a way that it is meaningful and relevant to your prospects and clients and that focuses on the positive impact you can have on their business when they choose to work with you. The next part is to effectively communicate that message to your team so that they don’t struggle with telling your unique story. The moral of this story? If it’s hard for the leader to truly differentiate the business in a conference room, how hard will it be for that new rep out in the marketplace. It doesn’t have to be this way, tell your unique story and say it with pride. Good luck with this and have fun.